A healthy portion of meat's bad rap centers on the assertion that livestock is the largest source of greenhouse gases worldwide. For example, a 2009 analysis published by the Washington, D.C.-based Worldwatch Institute asserted that 51 percent of global GHG emissions come from rearing and processing livestock. According to the U.S. Environmental Protection Agency, the largest sources of U.S. GHG emissions in 2016 were electricity production (28 percent of total emissions), transportation (28 percent) and industry (22 percent). All of agriculture accounted for a total of 9 percent. All of animal agriculture contributes less than half of this amount, representing 3.9 percent of total U.S. greenhouse gas emissions. That's very different from claiming livestock represents as much or more than transportation. Why the misconception? In 2006 the United Nations Food and Agriculture Organization published a study titled "Livestock's Long Shadow," which received widespread international attention. It stated that livestock produced a staggering 18 percent of the world's greenhouse gas emissions. The agency drew a startling conclusion: Livestock was doing more to harm the climate than all modes of transportation combined. This latter claim was wrong, and has since been corrected by Henning Steinfeld, the report's senior author. 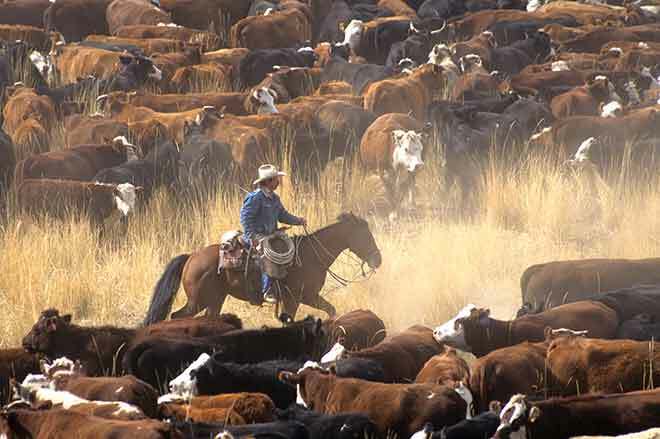 The problem was that FAO analysts used a comprehensive life-cycle assessment to study the climate impact of livestock, but a different method when they analyzed transportation. However, when they looked at transportation's carbon footprint, they ignored impacts on the climate from manufacturing vehicle materials and parts, assembling vehicles and maintaining roads, bridges and airports. Instead, they only considered the exhaust emitted by finished cars, trucks, trains and planes. As a result, the FAO's comparison of greenhouse gas emissions from livestock to those from transportation was greatly distorted. I pointed out this flaw during a speech to fellow scientists in San Francisco on March 22, 2010, which led to a flood of media coverage. To its credit, the FAO immediately owned up to its error. Unfortunately, the agency's initial claim that livestock was responsible for the lion's share of world greenhouse gas emissions had already received wide coverage. To this day, we struggle to "unring" the bell. Many people continue to think avoiding meat as infrequently as once a week will make a significant difference to the climate. But according to one recent study, even if Americans eliminated all animal protein from their diets, they would reduce U.S. greenhouse gas emissions by only 2.6 percent. According to our research at the University of California, Davis, if the practice of Meatless Monday were to be adopted by all Americans, we'd see a reduction of only 0.5 percent. Moreover, technological, genetic and management changes that have taken place in U.S. agriculture over the past 70 years have made livestock production more efficient and less greenhouse gas-intensive. According to the FAO's statistical database, total direct greenhouse gas emissions from U.S. livestock have declined 11.3 percent since 1961, while production of livestock meat has more than doubled.